They’re baaack. Summer beers are making a comeback, and in just a few weeks you’ll find them scattered along the shelves of Festival. Specially styled to emulate the summer season, summer beers are customarily light, drinkable, and citrusy. There’s something uniquely wonderful about a brew that is specifically suited to the season. It reminds us of Summer Fridays, boat rides, bathing suits, and beach vacations. So, if you’re looking for summer beers to try out in 2019, look no further than our list of favorites. It’s all in the name. Sunshine! Hand-crafted in Troegs’ small brewery in Hershey, PA using Pilsner and Crystal malts, Noble hops, and Lager yeast, Sunshine Pils delivers a surprisingly complex brew. You may notice notes of lightly toasted biscuit and bread, as well as a bright peppery and floral finish. Overall, the golden-colored beer is crisp, light, and perfect for quenching your thirst during an Orioles game. 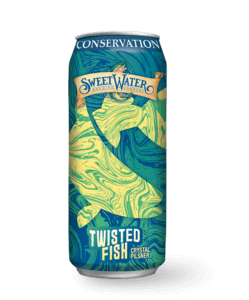 SweetWater Brewing Company released their newest summer brew, Twisted Fish Crystal Pilsner, to help fund natural habitat protection initiatives. So, for every case of Twisted Fish sold, $1 will be donated to fund projects that benefit sustainable fisheries and recreational anglers. As for the brew, Twisted Fish uses traditional Czech yeast and fermentation temps, with traditional and non-traditional pilsner hops to add a juicy, citrus aroma and spicy, tropical flavor. All in all, it’s certainly a great candidate for your summer cooler and a fun way to contribute to a great cause. Summerfest is perfect for soaking up the sunshine in a beach chair. This Czech-style lager features a slight malt sweetness, a spicy hop flavor, and the crisp finish you want on a hot summer day. Refreshing, golden, dry and incredibly drinkable, Summerfest is best consumed with friends at a BBQ or a relaxing evening on the deck. As the summer heats up, indulge in Spoetzl Brewery’s finest summer fruit beers. Strawberry Blonde has a surprisingly clear, gold color considering the medium light-bodied beer is brewed solely with fresh, ripe strawberries from Texas. As a result, this refreshingly sweet and fruity beer perfectly reflects the summer season in which it hits the shelves each year. 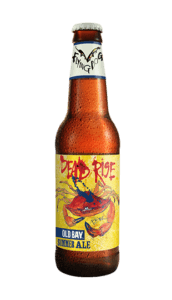 The annual release of Dead Rise is a sure sign of summer for Maryland beer lovers. The summer ale, brewed with OLD BAY seasoning, was created to support True Blue, a groundbreaking initiative to support the Maryland Blue Crab industry. The citrus hop notes and crisp, tart finish pair well with a pile of steamed blue crabs and corn. Brewed with mouth-puckering lemon, sweet orange peel, and blood orange juice, Flesh & Blood is a quintessential summer beer. However, you can find it on the shelves year round. Balanced with the hoppy characteristics of an IPA and the zesty fruitiness and subtle tartness of citrus, this highly drinkable ale is equally as unique as it is refreshing. So, when Happy Hour rolls around, pour the deep-reddish orange beer into an IPA glass and enjoy with a slice of cheddar cheese. In the spirit of summer, soak up some sunshine and kick back with an ice-cold brew. Stop into Festival Wine and Spirits for all of your favorite limited release summer beers. Also, sign up to get monthly coupons and see upcoming wine tastings.